« I like the Blue Beetle. Short post. Cause it’s late. And I’ve got some pages to do. O.K., Scrooge types, if some holiday shows — “The Radio City Christmas Spectacular,” “Elf” and “Wintuk,” say — are too cheery for your cynical gaze, there will soon be another option. 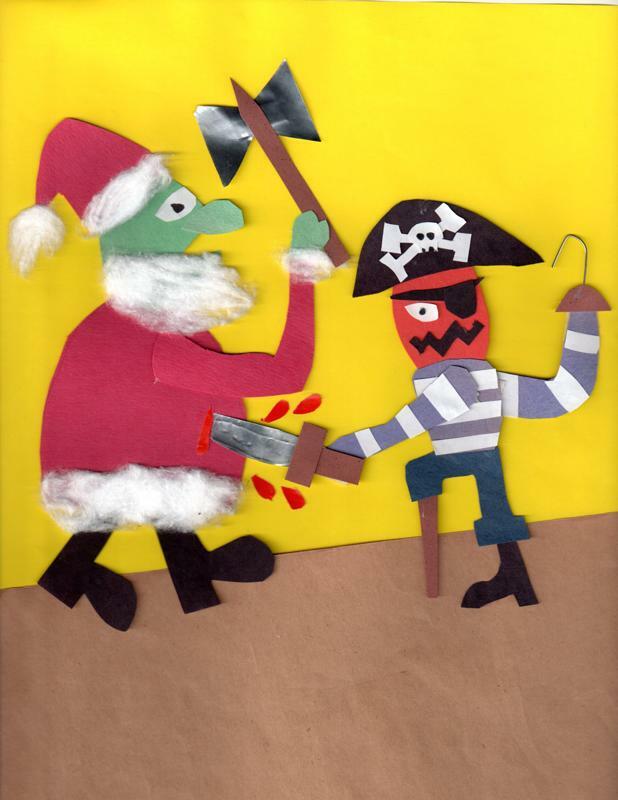 The Brick Theater in Williamsburg, Brooklyn, will present “Dar and Matey’s Christmas SpectaculARGH!,” featuring a pair of pirates battling an evil Santa Claus and his sinister sidekick, Tiny Tim. The play, written by Larry Pontius (and boasting a nasty elf and a ferocious polar bear attack), is just one entry in the Brick’s second annual FIGHT FEST, a festival that celebrates the art of stage combat. And to make it easy to buy tickets, go HERE.